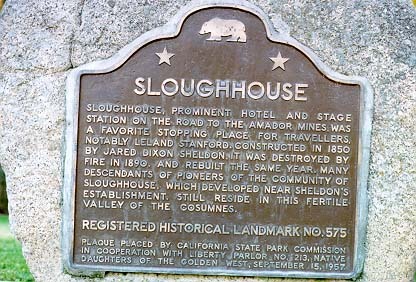 Sloughhouse, prominent hotel and stage station on the road to the Amador mines, was a favorite stopping place for travellers, notably Leland Stanford. Constructed in 1850 by Jared Dixon Sheldon, it was destroyed by fire in 1890, and rebuilt the same year. 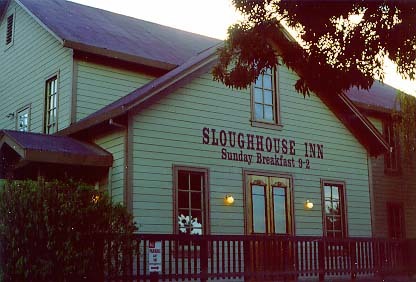 Many descendants of pioneers of the community of Sloughhouse, which developed near Sheldon's establishment, still reside in this fertile valley of the Cosumnes. Meiss St, across from post office, Sloughhouse.